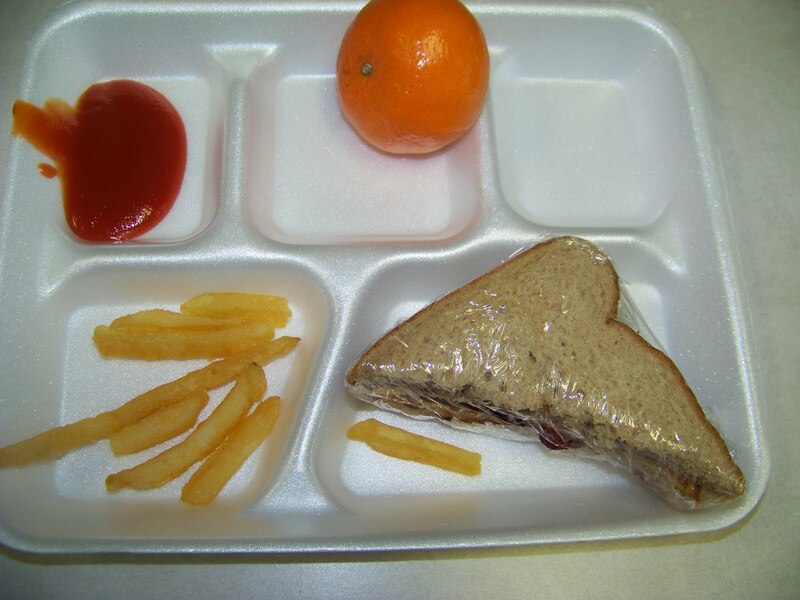 Contents: Peanut Butter and Jelly Sandwich, Fries, Clementine Orange, Ketchup. Notes: What a skimpy meal, mostly void of anything tasty or good for you. I always got pleanty to eat at my school. Poor funding? Really though. My meals were always heaping back in the day. The biggest difference looking at the lunches from the US vs Japan is the amount of food (and the health factor but that is another topic)! I couldn't survive off of such little food. I remember getting bigger portions when I was little so maybe it does have to do with a lack of funding.